Right next door to the newly opened Maria & Enzo’s Ristorante, diners are discovering a new pizza hot spot sure to be popular in Disney Springs. Pizza Ponte recently opened, serving up several varieties of pizza by the slice, sandwiches, and specialty desserts. This adds another new option for quick food on-the-go. I dropped in to put the pizza to the test and see where it measures up compared to some of my pizza favorites around Walt Disney World. 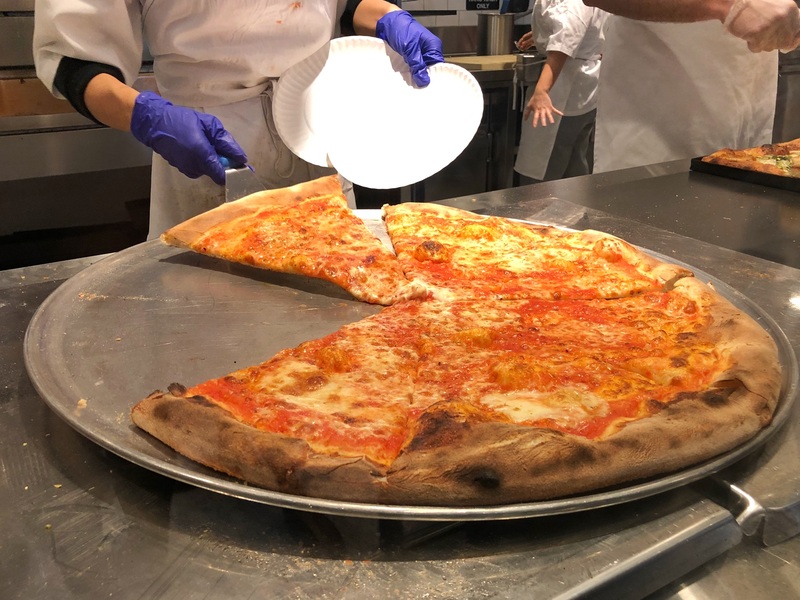 A few of the basics, first: like your local pizza-by-the-slice joint, toppings aren’t customizable at Pizza Ponte (head to Blaze across Disney Springs for that). Slices run $7 each, which sounds a bit high, but a single slice is definitely big enough for a meal for one (or two little ones). Sandwiches, similarly appropriate in size, run around $9 each, and desserts are available for $3-7. Specialty Italian sodas, standard soft drinks, and several specialty coffee options fill out the rest of the menu. Disney Dining Plans are not currently accepted, but there are Annual Passholder, DVC, and even Tables in Wonderland discounts. 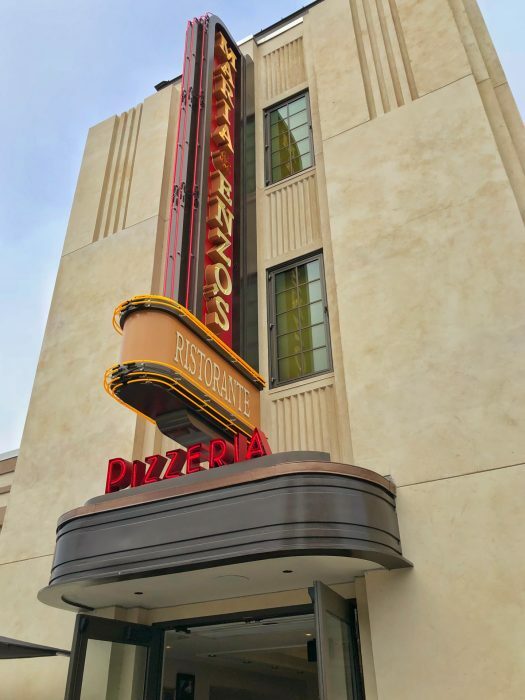 No matter the time of day, it’s likely you’ll encounter a line at Pizza Ponte. Don’t be scared away, though – in my experience, the line really moves quickly, and the pizza was worth the wait. My choices for my first visit were the forest mushroom (a white pizza) and pepperoni. Served on paper plates, the slices slice were so large that they nearly flopped over the sides of their plates. 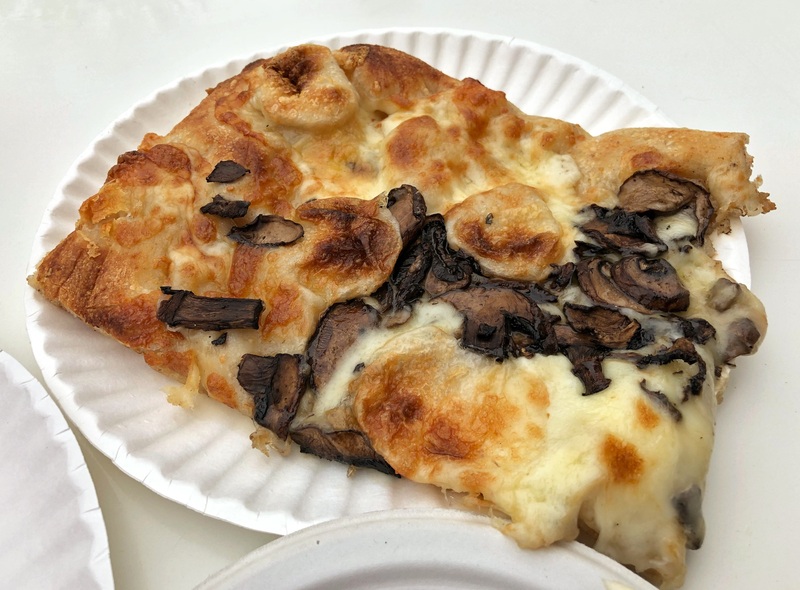 If you’ve ever tried the much-lauded pizza at Epcot’s Via Napoli, you’ll find this pizza to be very similar in toppings, flavor, and texture. A slight char from the hot pizza ovens coats the outside of the crust of every slice, which I’m fond of, but I know it’s not everyone’s cup of tea. 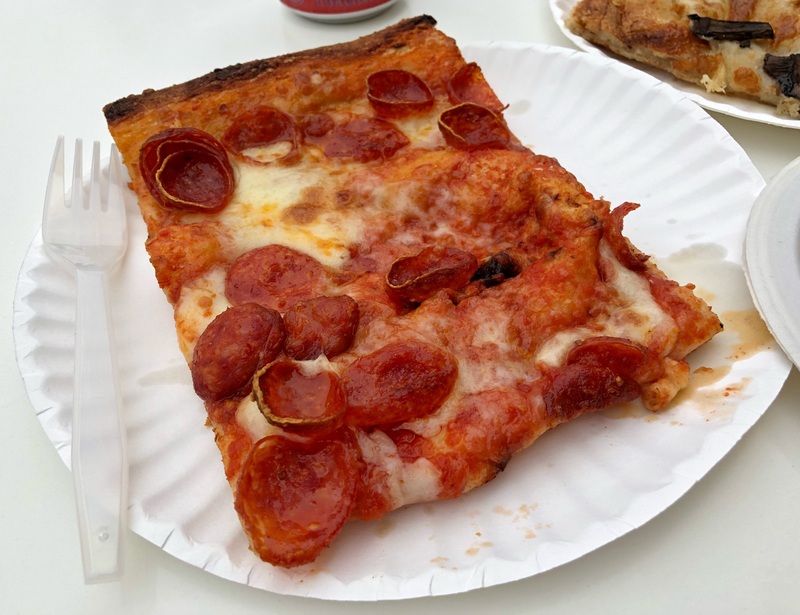 The pepperoni slice featured a ton of tiny pepperoni slices, and while a little light on cheese, filled my craving for a perfectly greasy slice of pizza. The forest mushroom slice definitely had a lot more cheese, gooey and melted, stringy and creamy. In terms of toppings and flavor, I far preferred this pizza to the minimally topped pizzas at Blaze, as an entire slice here was pretty filling as a meal. For dessert, I decided to try the cannoli, which came highly recommended from the Cast Member working the very well-stocked bakery display. Packed with sweet ricotta cream, chocolate chips, and garnished with candied orange and cherry, I was super-impressed with this dessert, though I’m not sure it was worth the same price as a whole slice of pizza. 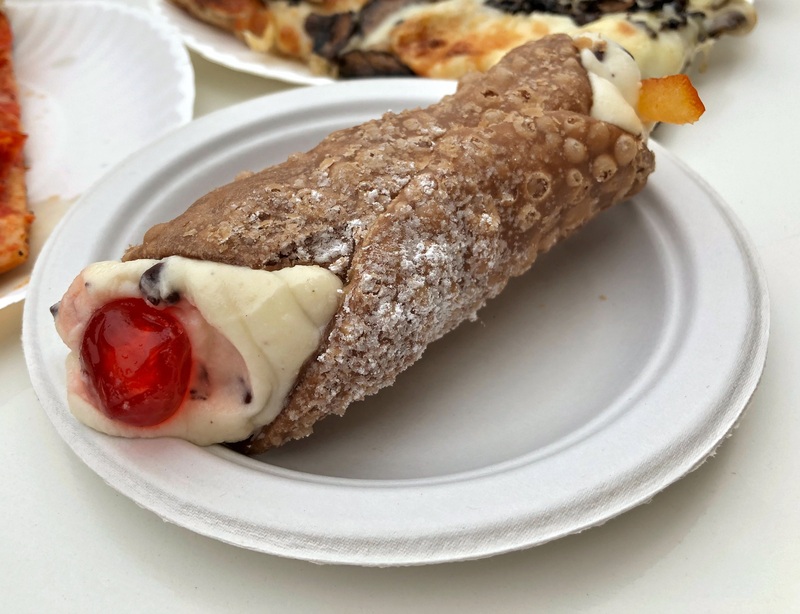 The filling was lightly sweet, full of ricotta flavor, but a bit grainy, and since these desserts been filled and chilled prior to serving, my cannoli shell was a little chewy rather than crunchy. 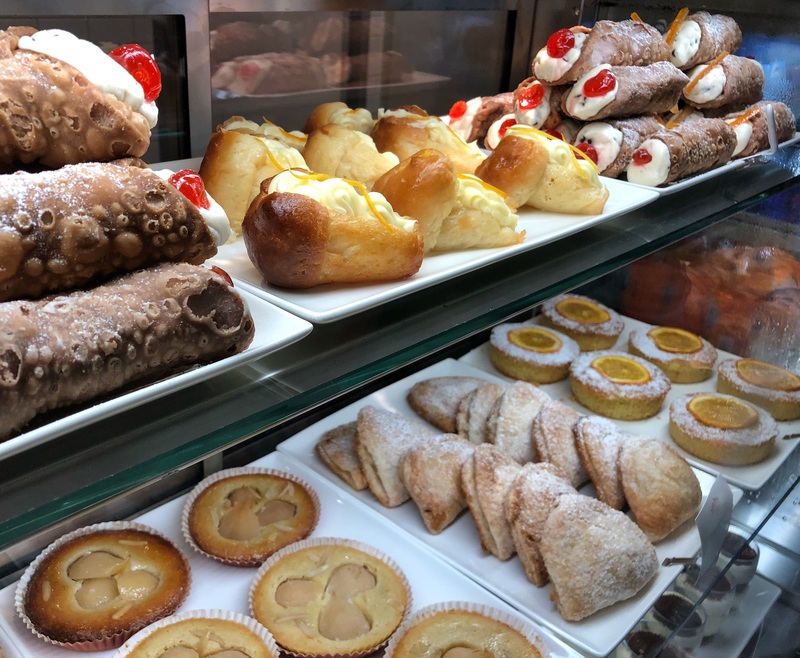 It definitely checked the “dessert” box off in my brain, but I still prefer the filled-to-order cannoli available just across the way at Vivoli il Gelato. 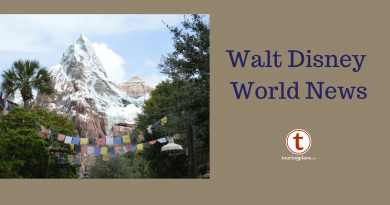 Pizza is one of the most divisive foods around, with opinions of Walt Disney World’s pizza offerings ranging from raves to rants nearly any time you bring it up. All things considered, I found Pizza Ponte’s pizza to fit on the higher end of the rankings for “Best Pizza at Walt Disney World.” It’s similar to Via Napoli’s, which is widely considered one of the best that you can get on property. And even better, it’s sold by the slice instead of in $40-50 pies. 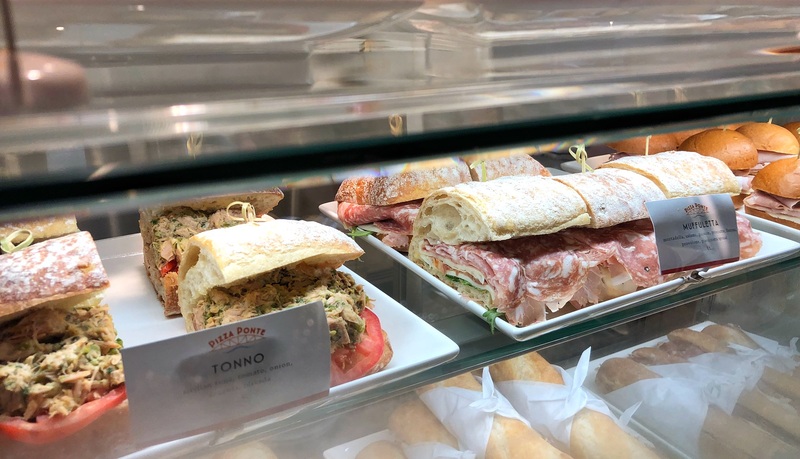 Plus, the line certainly moves faster than the line at Earl of Sandwich, Blaze Pizza, and D-Luxe Burger, with similar prices and more discounts than any of those places. 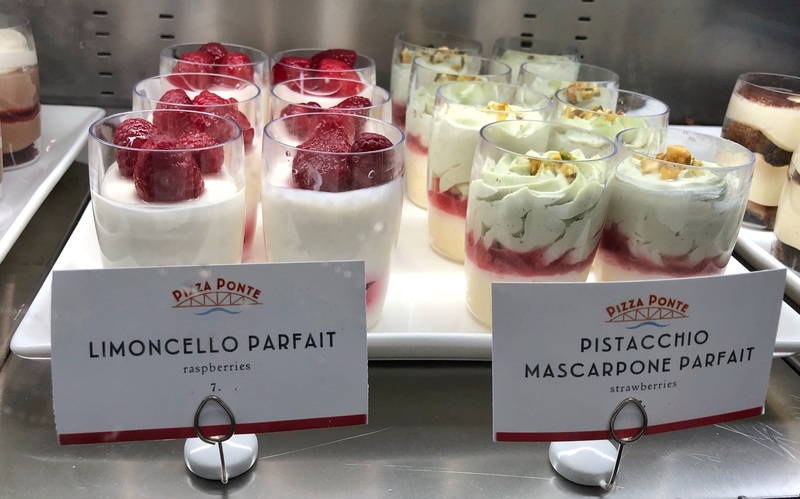 Overall, if you’re in search of a quick bite to eat at Disney Springs, Pizza Ponte is definitely worthy of consideration. The thing I can’t get past here is that it’s $7 per slice. The crust is flavorful and it’s got a nice char. The toppings are fresh and abundant. The sauce is good. But c’mon, $7 per slice? The very best pizza slice in New York City will not run you over $4.50 with toppings. I 100% agree on the price being a bit too high, but in context, they’re still the cheapest pizza game in town. Cheapest thing you can get at Blaze (a plain cheese pie to serve 1-2, minimal cheese, thin crust) is $7.25. Pizza bread at Earl of Sandwich is $6, but decidedly not pizza. For the service speed and portion size, they can get away with it (a terrible excuse, not a defense, but the truth). Only positive about pricing is they seem to be fine offering discounts, which helps cut the cost a bit. But the thing with Blaze is that it is quite large and can be easily shared with two people. I have never eaten more than half a pizza at Blaze where pizza ponte is only shareable for kids. Which means that you are spending closer to $5 a person especially since you can tell them to only but toppings on half the pizza at Blaze their is no reason not to split a pizza at Blaze unless you want leftovers. 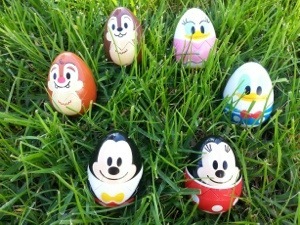 Agreed that the price is too high, but isn’t everything at WDW? 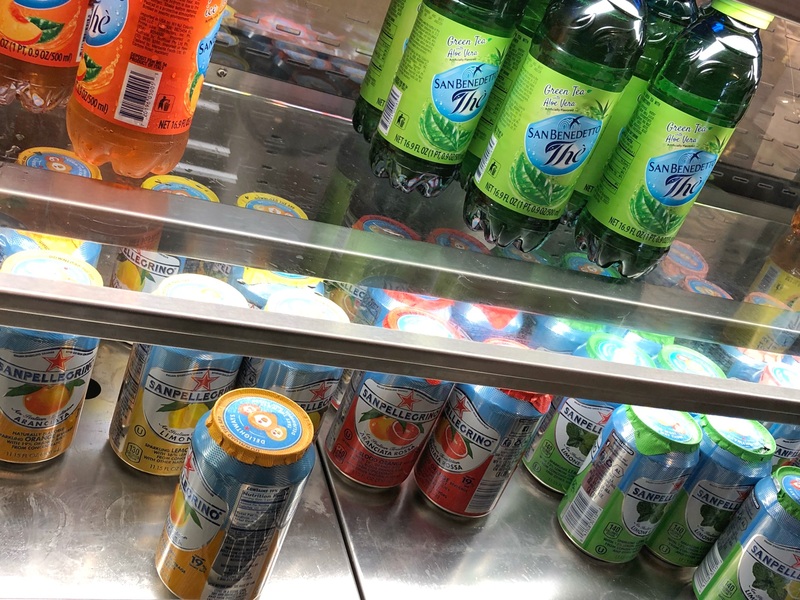 Those Pellegrino drinks are nice, esp the lemon. What did you think of the seating setup at Pizza Ponte? From what I could tell from pictures, the chairs are backless and it looks like either the seats are too high or the tables are too low.